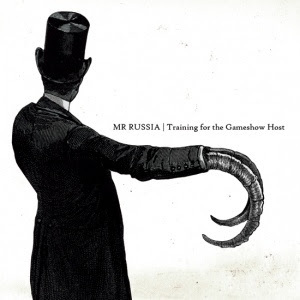 Chicago's Mr Russia have just released a new EP titled Training for the Gameshow Host, and they want you to have it for free. 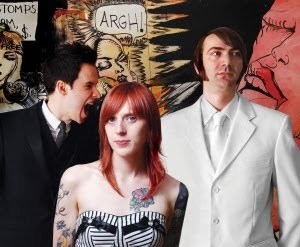 Earlier this year the band released their debut full-length, Teething, which introduced their sound as a healthy mix of post-punk, new wave, punk and garage rock. Gameshow Host continues down the same path, packed with lots of meaty guitar and drums, menacing bass lines and cocksure vocals. From the hard rock swagger of "Wooden Heart" to the immediately accessible garage romp of "It's True" to the bizarre, loungey shuffle of the tongue-in-cheek title track, the EP solidifies Mr Russia as one of Chicago's most exciting up-and-coming bands. They even take a stab at Radiohead's "National Anthem." How's that for ambitious? Mr Russia point out that the download is "no strings attached, totally, completely 100% FREE, no mailing lists sign up, no catch, no gimmicks, just free." For even more good times at no cost, you can catch the band live for free Wednesday, August 19 at Double Door, where you can also pick up a physical copy of the EP at no charge. Other bands on the bill include Evil Beaver, This is Versailles and Youth Dekay.